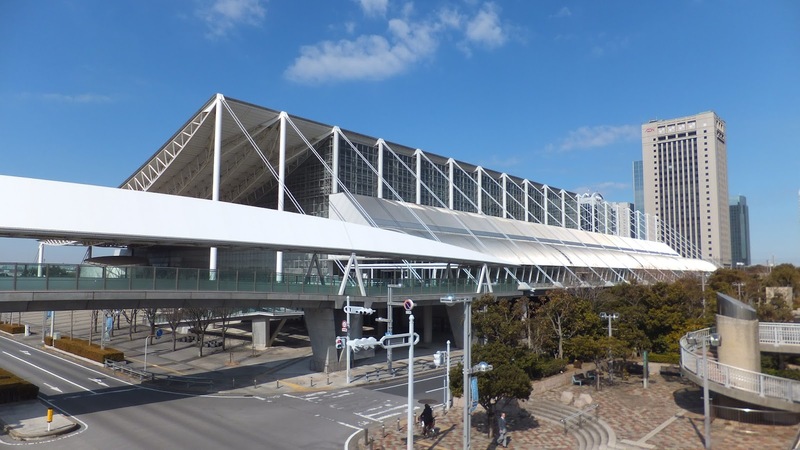 Makuhari Messe, the site of Jump Festa. November 24th, 2015. The Digimon World -next 0rder- title site updated today with an announcement that the 2016 game will be featured at this year's Jump Festa, held on December 19th and 20th at Makuhari Messe. The official Digimon games Twitter account confirmed this, asking readers to come play at JF2016. -next 0rder- will likely be hosted at Exhibition Zone 2 at the Bandai Namco Entertainment/Banpresto booth. Some Japanese fans have responded to the announcement negatively on Twitter, demanding instead to know if the smartphone game Digimon Linkz will be present at JF2016. Very little information about the mobile game has been given since its TGS trailer. While past issues of V Jump have featured small splash sections encouraging users to preregister for Linkz to receive a V-mon in-game, the lack of information has been frustrating for some. Jump Festa is an annual media expo first formed in 1999, and promoted through a collaboration of several Jump brand magazines, including Weekly Jump, Shounen Jump+, V Jump magazine, and Jump SQ. Formed through a coalition of Shueisha and associated companies, Bandai's Digimon was a foundational work for the expo, having its own booth at the first event, Jump Festa 2000. Although in the past Jump Festa was held at the Tokyo Big Sight convention center in Tokyo Bay, beginning with JF2004 the event was relocated to Makuhari Messe, where it has stayed ever since.